There are so many ways to make a delicious frozen concoction with your Margaritaville® Jimmy Buffett Anniversary Edition Key West™ Frozen Concoction Maker®. Fresh, juicy fruits and flavored liqueurs create the perfect frozen drink, whether it's one made with tropical fruits like pineapple, mango and coconut or one inspired by sweet, in-season berries. 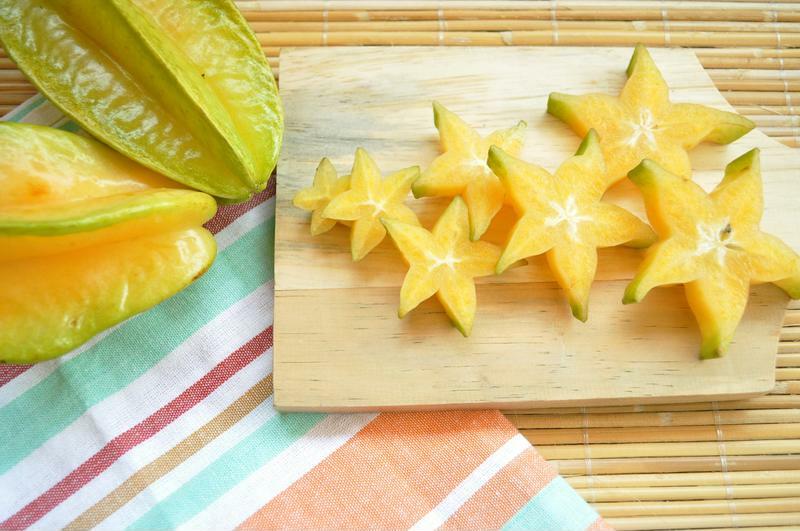 The starfruit may be small, but it will add a one-of-a-kind refreshing flavor to your frozen concoctions. Mild and delicate starfruit pairs perfectly with frozen concoctions featuring softer flavors like cucumber, lemon and mint. It also adds a sweet touch to pineapple, melon and mango frozen concoctions. To really give starfruit the chance to shine, try making this recipe in your Frozen Concoction Maker®: Combine 2 starfruit​s, peeled and seeded, 6 ounces white wine, 1 cup frozen raspberries, 8 ounces club soda and a twist of lemon juice. Starfruit liqueur is another tasty way to add some unexpected flavor to you frozen concoctions. Starfruit will adds a unique, refreshing twist to your frozen concoctions. Sure, avocado is a go-to on tacos and other Mexican-inspired dishes, but did you know this delicious fruit can help you create an amazing frozen concoction? Just take inspiration from high-end cocktail bars, which are infusing their creations with the creamy fruit. A no-fail hit is an avocado margarita: Just mix together 1 avocado, peeled and seed removed, 6 ounces tequila, a splash of orange liqueur and fresh lime juice, and a dash of salt in your Frozen Concoction Maker®. It may sound unusual, but avocado blends well with other flavors, adding a rich thickness that can be difficult to achieve with some other fruits. Darker and juicier than its typical orange cousin, the blood orange will help you create a bolder frozen concoction with a vibrant, fiery color and fierce flavor to match. You can play the flavors of blood orange off other fruits in the citrus family for a deliciously refreshing frozen concoction - gin, bitters, orange liqueur and fresh blood oranges mixed together in your Margaritaville® Jimmy Buffett Anniversary Edition Key West™ Frozen Concoction Maker® will wow at parties. Or, you can try some other creative ingredient combinations, like blood orange, lemon and vodka. Wishing your were on a tropical vacation? Look no further than lychees. This small, fragrant fruit is a match made in heaven with sweet coconut. Put an unexpected twist on a classic frozen pina colada by mixing together rum, coconut milk, pineapple juice and fresh, peeled lychees in your Margaritaville® Jimmy Buffett Anniversary Edition Key West™ Frozen Concoction Maker®. You can also use lychee liqueur in the place of fresh fruit. Lychees have a mildly sweet flavor, which also make them well-suited for frozen cocktails made with fresh herbs, teas and lemon and lime juice.